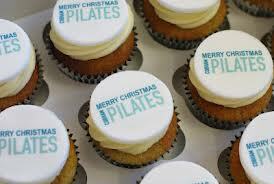 Group Pilates Classes : Is sugar bad for you? Sugar cravings stem from two areas. The need for energy. When you are tired or your cells are low in energy, your body creates cravings to boost your body, the easiest food the body can convert into energy is sugar. With regular sufficient sleep and a diet of over 1,200 calories a day the body will not produce sugar cravings and making sugar a `necessary and safe food group. Sugar is emotional and people use sugary foods such as chocolate as a support, the idea of treating oneself, drowning ones sorrows is common. For example, people give chocolates to show love from Valentine’s Day or to rewarding young children. These behaviors change the value of sugary food. Sugar as part of a meal is not harmful, we need all food groups. Sugar on its own can lead to energy spikes and drops as well as lead to irregular eating or binge eating. Regular eating and exercise as well as sugar consumption with other food groups can prevent low energy levels and the need to use sugar as an emotional crutch. Banning anything from a diet increases our desire for it. If we stop eating meat for a cleanse for example, often make us want meat more often than we would normally, in addition, after a period of abstinence we often feel like we deserve meat the substance we have not allowed yourself. Instead of banning sugar from your diet, add new things in so it naturally pushes the other stuff out. Sugar has a place in our diet, in its many forms, from fruit and honey to chocolate. Be good to your body, Balance your body, and feel good about your choices.